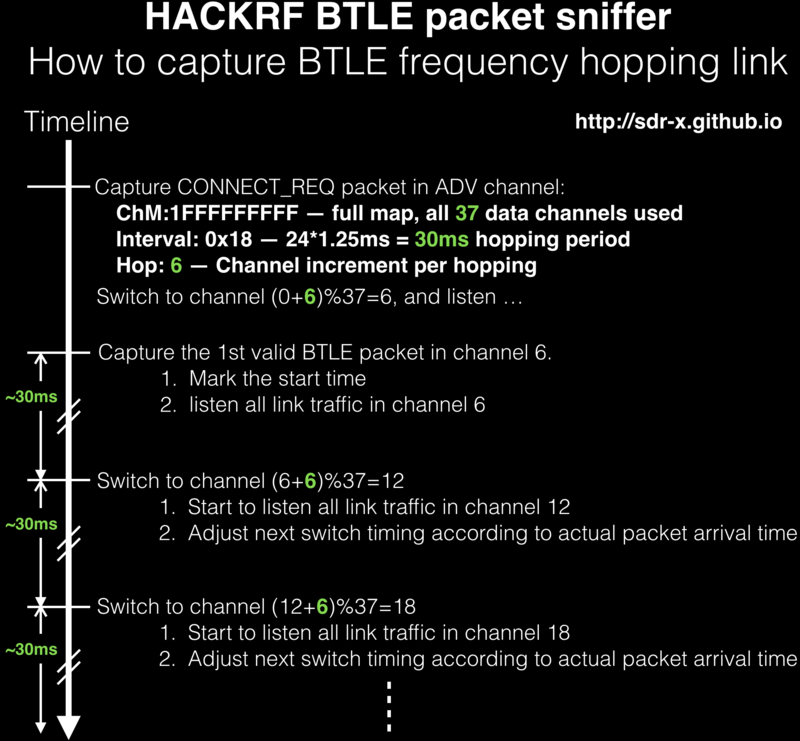 Nov. 2015: So excited that the HACKRF BTLE packet sniffer/scanner can follow hopping data channels automatically now! Just like TI’s sniffer. This will turn on data channel tracking (frequency hopping) after link setup information is captured in ADV_CONNECT_REQ packet. This frequency (Hz) will override channel setting (In case someone want to work on freq other than BTLE. More general purpose). Now all BTLE channels (0~39, bothe ADV and DATA channels) are supported. You can use btle_tx and btle_rx to send or sniff on any BTLE channel. A Raw mode is added to both btle_tx and btle_rx. 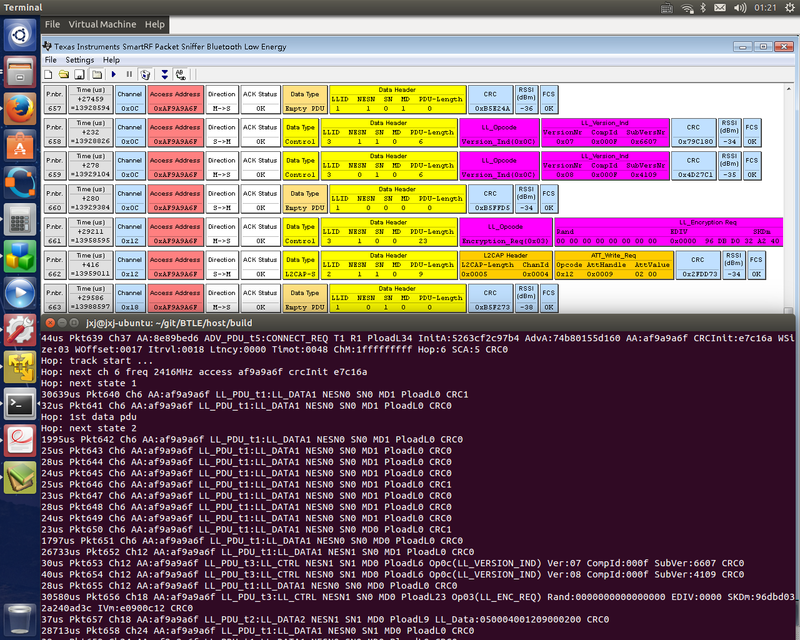 Under this mode, after access addr is detected, following raw 42 bytes (without descrambling, parsing) are printed out. 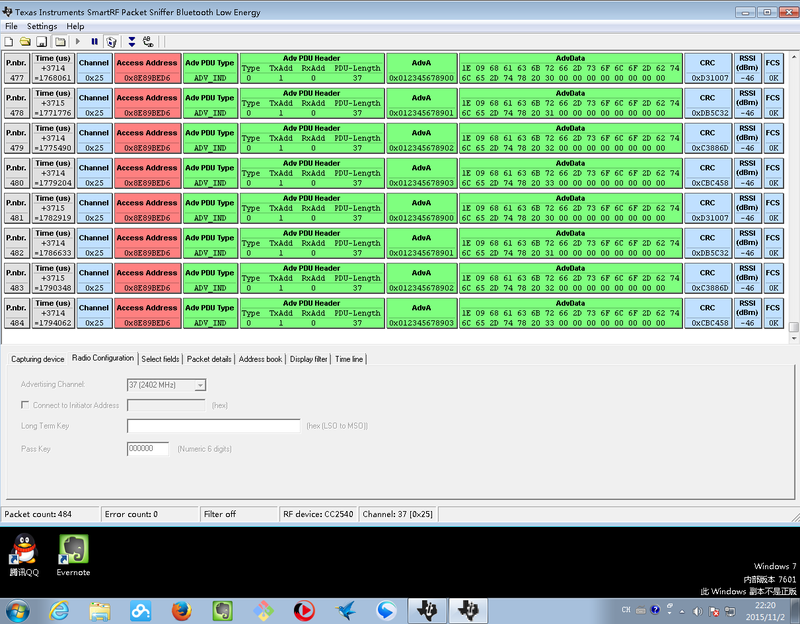 By this way, you can do other experiments or communication between HACKRF boards easily.